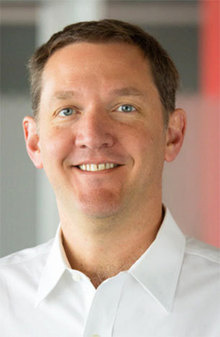 According to Red Hat CEO Jim Whitehurst, the prevailing narrative about the growth and spread of Linux is only half-true. The idea that a doughty community of coding geniuses, led by an irascible commissar in Linus Torvalds, quietly created a technological asset that eventually spread to the biggest users in the land is actually a little misleading, he told Network World at LinuxCon North America 2016 in Toronto. “We’ve all gotten ingrained with this concept of disruptive innovation – it starts small and it works its way up,” Whitehurst said. And while the technical side of Linux did, indeed, progress in such a way, its introduction into the business world has been very different, at least where Red Hat is concerned. Instead of starting on the fringes of the enterprise, as might be expected, some of Red Hat’s first major Linux deployments were on some of the most mission-critical systems out there – big financial institutions running trading platforms. That’s helped the development of Linux in particular and open-source software in general, according to Whitehurst, because real innovation is the product of user needs and, consequently, user innovation. He likens it to another period of rapid technological advancement – specifically, the industrial revolution. The big winners of the industrial revolution, Whitehurst asserted, weren’t the original manufacturers of machine tools, it was the companies that successfully tweaked and adopted those tools to accomplish their own ends. “We’re kind of seeing the same thing today, where the big winners of the information revolution start setting a new level of maturity – it isn’t the IBMs or even the Red Hats or the HPs or any vendor, it’s people who take that and perfect how to use it at scale,” he said. A particularly apt example is Docker – at a Platform-as-a-Service company called dotCloud, Docker began as an employee project designed to solve internal problems. Now, it’s the project that started an open-source revolution. Open-source, increasingly, is the lingua franca of software development, in part because open-source has graduated from making alternatives to market-leading proprietary products to pushing the boundaries of the technology itself. This is great news for Red Hat, he states, because it’s beginning to look like a world full of nails when Red Hat’s business model is a hammer.